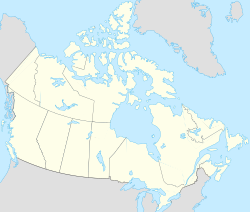 ^ Climate data was recorded in the area of downtown Whitehorse from July 1900 to March 1942 and at Whitehorse Airport from April 1942 to present. ^ Demonyms—From coast to coast to coast - Language articles - Language Portal of Canada 互联网档案馆的存檔，存档日期2014-08-30. ^ Whitehorse A. Canadian Climate Normals 1981–2010. 加拿大環境部. [2014-07-30]. Climate ID: 2101300. ^ Whitehorse. Environment Canada. 22 September 2015 [16 June 2016]. ^ Daily Data Report for January 1906. Environment Canada. 22 September 2015 [16 June 2016]. ^ Daily Data Report for January 2009. Environment Canada. 22 September 2015 [16 June 2016]. ^ Daily Data Report for July 2009. Environment Canada. 22 September 2015 [16 June 2016]. ^ Daily Data Report for March 2016. Environment Canada. 22 September 2015 [16 June 2016]. ^ Whitehorse Riverdale. Environment Canada. [16 June 2016]. ^ Lancieux, France Sister City Program. City of Whitehorse. [2014-10-27]. ^ Ushiku, Japan Sister City Program. City of Whitehorse. [2014-10-27].